The upper floor of the library that used to house the nonfiction collection will soon become McNicholas’s new art gallery. The gallery will showcase pieces from all the art classes including ceramics, paintings, and photography. Librarian assistant Mrs. Jane Ray said she is delighted about the art gallery. “There are so many talented artists here at McNick, and I hope the gallery will increase awareness about the amazing things they create,” Ray said. 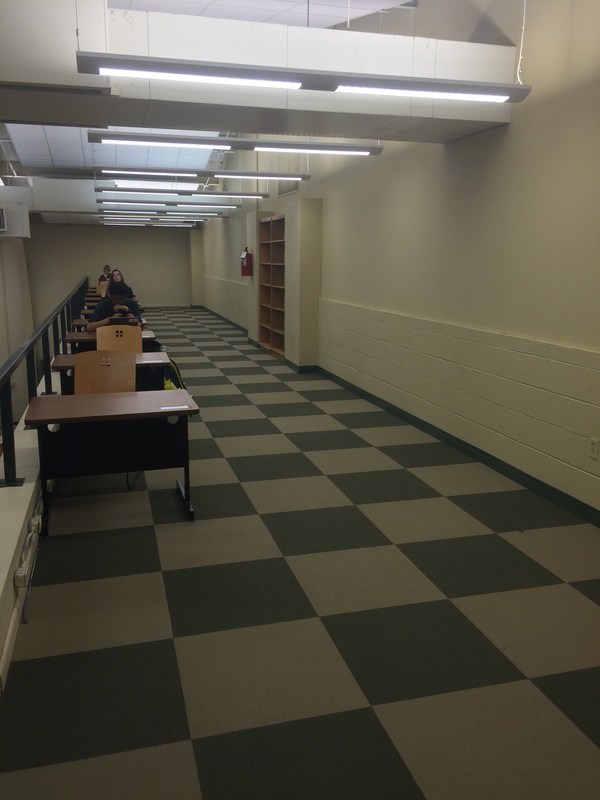 After the nonfiction section was moved from the upper floor to the stage during the 2014-2015 school year, Librarian Mrs. Anne Jones began thinking of ways she could use the space. She had one idea about a “McNick Museum.” The museum would have included information about past graduating classes, but Jones decided the art gallery would be a better fit. Jones also decided on the art gallery partly because the area was protected. Outside the library on the courtyard side, there is a ledge built into the wall. The ledge was originally installed to display artwork, but many pieces were damaged or stolen because the area wasn’t protected enough. Jones wanted to bring artwork back into the library, and knew the upper floor would be the safest spot. Ray also wanted to put something where the nonfiction section used to be. “Since we moved the nonfiction section to the stage, the upstairs looks really empty. My second hope for the art gallery is that it will add visual interest to the library,” she said. Ms. Mel Gaskins doesn’t know how often new pieces will be put into the gallery. She said it depended on how quickly pieces could be produced. It is also undecided if the gallery will have a grand opening or be set up quietly. 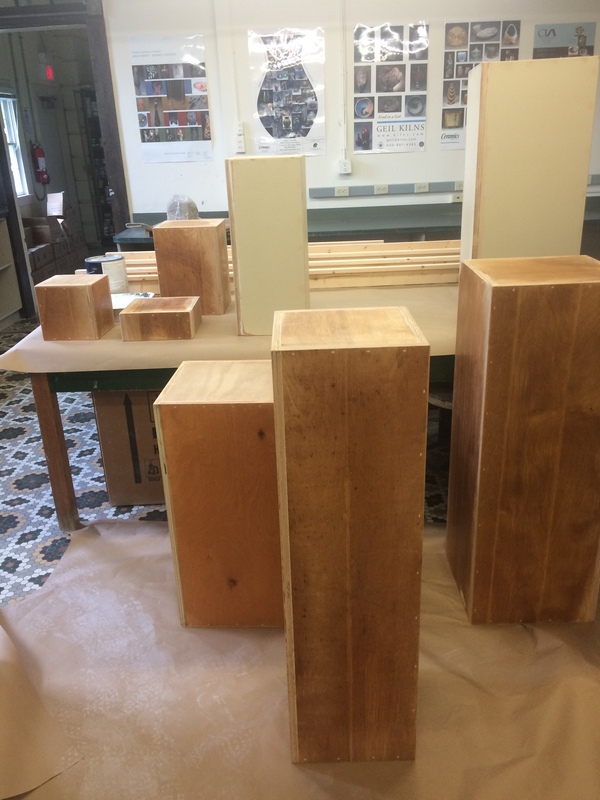 In preparation for the gallery, Gaskins, who is also the Fine Arts Department Chair, has been painting pedestals and display boards, crafted by Student Moderator Mr. Gerard Kissel. Display boards will be put up on the wall in the upper floor of the library. Tall pedestals will be stood along the wall to display larger pieces; short pedestals will be placed on the shelf to display smaller pieces. The display boards and pedestals that will be used are standing in Ms. Mel Gaskins’s room. They will soon be painted and prepared for the gallery. Although no official date has been set, those involved are hoping the new gallery will be ready sometime in September.